To arrange your private jet charter flight to Atlanta via Fulton County Airport-Brown Field (FTY), be sure to give CFG a call. With the most skilled professionals and decades of experience in providing private jet charter flights, you will soon understand the CFG Difference. At CFG, we believe that service begins with outstanding safety procedures so not only to we rigorously enforce all FAR Part 135 regulations as required by the FAA, but also all foreign regulations as well. 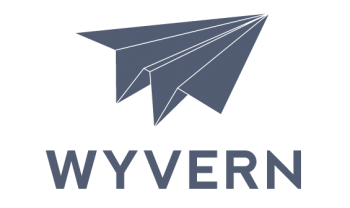 To further ensure perfect compliance, we employ the services of both Wyvern and ARG/US to help. We must, for we provide thousands of private jet charter flight aircraft for our clients use at a moments notice. Building on that platform of safety, we provide our clients with the most professional crews for private jet charter flights. Only pilots, attendants, and ground maintenance personnel with sterling and long records are permitted to remain in our program. This ensures a smooth, professional, secure, and truly private, jet charter flight both to and from Fulton County Airport-Brown Field (FTY). In addition, the CFG Difference requires us to provide the most flexible private jet charter flight choices available via Fulton County Airport-Brown Field. Whether you need a piston, an empty leg, a one way, group flight, Cessna, Lear, Hawker, Boeing, Airbus, or really, anything other than Air Force One, we are happy to make your arrangements. The CFG Difference begins when you phone 1-888-634-7449 any time 24/7 to arrange your private jet charter flight to Fulton County Airport (FTY). Our knowledgeable trip coordinators will see to it that nothing is left to chance. We can arrange your ground transportation and see to it that you get the right plane to serve you. flight, no problem, we can help. If you have a specific aircraft in mind for your trip via Fulton County Airport (FTY), again no problem. Just let us know what you want in we can usually have you in flight in less than four hours. Call 1-888-634-7449 now for an instant price quote and to experience the CFG Difference. 100LL JET-A1+ , FUEL SVC HILL AVN, C404-691-3330. There are numerous additional airports near Fulton County-Brown Field (FTY) for private jet charter flights into Atlanta, Georgia. To schedule a private jet charter flight into any of these fine airports including FTY, simply call 1-888-634-7449 and experience the CFG Difference today.